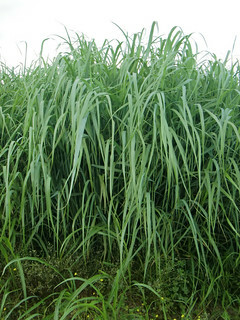 SWITCHGRASS -- Switchgrass is a native grass that helps fill a seasonal forage gap. Taken June 25, 2014, at the University of Arkansas Watershed Research and Education Center. (U of Arkansas System Division of Agriculture image by Dirk Philipp. FAYETTEVILLE, Ark. – Native warm-season grasses, such as switchgrass, eastern gamagrass, little or big bluestem, and indiangrass can be the answer to fill production gaps caused by summer dormancy of cool-season grasses. “They are well adapted to the region, including climate and soil, weed and pest pressure,” he said. Natives can grow on a wider range of soils, even poorly drained and thin soils on ridge tops. Although these native grasses are generally more difficult to establish, Philipp said they could possibly survive and recover from a severe drought better than non-native forages. Their root system can reach a depth of up to 12 feet. “Native grasses still provide forage production at reasonable high nutritive values compared to tall fescue, which is a cool-season perennial,” he said. Native grasses also offer more cover for wildlife than non-native forage grasses do. “This may be important for the increasing amount of farms and properties that expand into hunting business,” Philipp said. They are more frugal in terms of fertilizer, water use, and herbicide use. Philipp offers a couple things that farmers need to remember in establishing native grasses. Since they grow quickly during late spring and early summer, the management input is higher in terms of maintaining appropriate stocking rates, Philipp said. 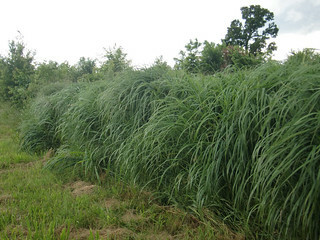 As for livestock gazing, he said big bluestem is found to be more suitable because it does not grow as quickly as switchgrass during late spring and early summer. Stubble heights should be kept between 15-18 inches to avoid stem growth and being overgrazed. September 1 should be the last time of the year for cattle to graze native warm season grasses. 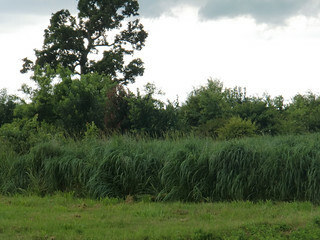 For more information about native warm-season grasses, visit www.uaex.edu or contact your county extension office.